We just can't look away from the beauty! Red roses for Valentine's Day are the ultimate romantic gesture. 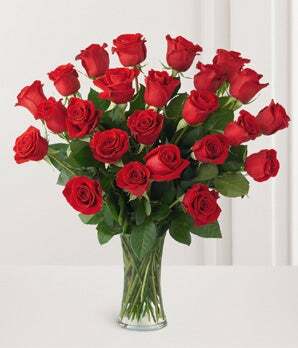 Your loved one will be head over heels when they receive a two dozen classic red rose bouquet.